I know I just posted one of these a few days ago but I couldn't pass this one up. And for your elucidation.............I have no idea whatsoever. kschilk, russinator and 777Driver like this. 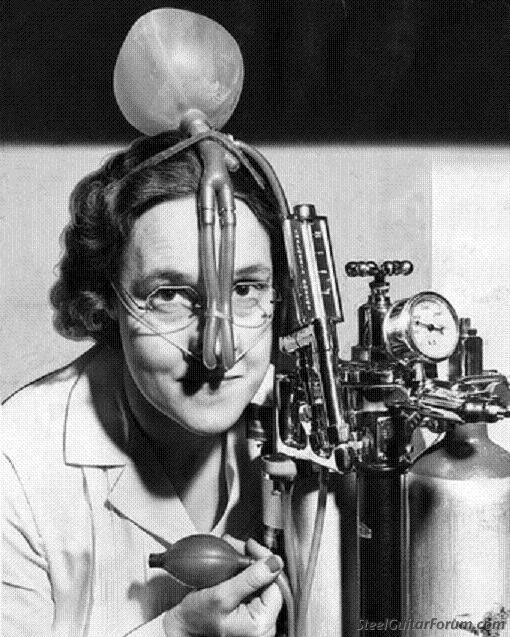 Mabel invents the first intoxilizer, 1946. Rickenbacher39, DeltaBravoKS and ICUKev like this. ​All you need for happiness is a good gun, a good horse, and a good wife. ...and that's when the doctor shoved me in to the blood pressure machine! Rickenbacher39 and ICUKev like this. What, you say you are not getting the full effect from your illicit drugs? Well worry no more! The illicit drug Rammer Jammer 3000 will solve all of your problems. The Rammer Jammer 3000 will blow those drugs right up your nose and directly into brain! It won't hurt much but then you'll be too stupid to know. But wait! There's more! Those oxy's got you severely stopped up at the other end? No problem just put those same tubes where the sun don't shine and reverse the inject switch to eject and you'll be lose as a goose in no time. ICUKev, Car_Doc, Rickenbacher39 and 4 others like this. As part of the green new deal, all citizens will be required to be fitted with the Gas-E-Vac, a revolutionary device developed by environmental activist Ewell Knotphart that's designed to eliminate harmful human emissions. Early cpap attempts to fix the "heavy" snorring people? Either that or an anti fart smelling machine? Used after cooking chili for your 4 boys! Rickenbacher39 and DeltaBravoKS like this. "Go ahead. Squeeze the bulb and see what happens. I dare you!" Honey? does this make me look fat! Rickenbacher39, darbo, misPhyr and 1 others like this. From the archives of quack medicine comes the Brain Fart evacuation invention by a Dr. Dewercs. misPhyr, DeltaBravoKS, darbo and 1 others like this.